It’s a very busy SKH Weekend in Portland and beyond. From a quirky Southeast street fair, to Beaverton’s bustling Night Market to a wacky pirate fest all the way down in Lebanon, Oregon this is a great time to get outdoors and enjoy all this wonderful state has to offer. The very Portlandia-ish Division/Clinton Street Fair starts off with a wacky parade starting at 10:45 a.m. The fair also includes arts & crafts booths, live music, food, sidewalk sales, and children’s events. Free. Back for a highly anticipated second year, the Oregon Polo Classic at Hidden Creek Polo Club in West Linn brings together the excitement of the sport of polo with an exceptional, all-inclusive food and wine experience unlike any other in town. Grab that fancy derby hat and dress to impress for two full days of exciting polo, delicious local wine tasting, a whiskey and cigar lounge, the time-honored traditional Champagne Divot Stomp and more. 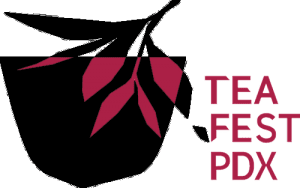 Tea Fest PDX has tea tastings, vendor booths, classes, speakers, a Japanese tea ceremony, and British tea traditions at World Forestry Center in Washington Park. Children 12 and younger are free. The Beaverton Night Market exists to create a vibrant, intercultural, family-friendly space that is reminiscent of night markets from across the globe. The goal is to offer a culturally-relevant evening gathering space with ethnic food and crafts for families of all backgrounds. Free. The 9th annual Portland Slavic Festival features art, music, dance, food, soccer, children’s activities, and vendors of Russia, the Ukraine, Serbia, and Armenia at Ventura Park. Free. Calling all pirates and gypsies to SeaDog Nights and Gypsy Carnival to dance, play, compete, entertain, shop, party, and camp at Cheadle Lake Park in Lebanon. Guests are encouraged to wear costumes.